Can you give a brief introduction to your research? Can you give an overview of the experimental methodology you typically use? We often screen small compound libraries, which consists of 40 to 50, 96-well plates. This involves transferring compounds from microcentrifuge tubes to the plates, and then back to tubes. We also run genotyping reactions on different biological samples. This involves around 500 reactions per week, and until now, we've been using a single channel pipette for this task, but because of the large number of samples, this is a tedious and long process, and is also very prone to errors. What solutions have you sampled to increase the efficacy of your experiments? We investigated a pipetting robot, but it was a bit too expensive for our work load, but we've found that the VOYAGER pipettes from INTEGRA have been a really big help, they've allowed us to speed up our experiments and get to our results more quickly. What is the main benefit of using the INTEGRA VOYAGER? With this pipette, you can change the tip spacing to any distance that you need for your experiment. This means that we can now go from tubes directly into the plates. How does the VOYAGER compare to what you were previously using? Compared to the single-channel pipette we used before, it saves a lot of time and allows me to plan bigger experiments and speed up our genotyping assays. We use it to transfer the template and the master mix from tubes, to the plate, and then to load the final PCR reactions onto the gel. No matter what gel pocket distance we use, the voyager can handle it. What other features of the VOYAGER do you find particularly useful? We also enjoy the ease of use of the touch wheel interface. 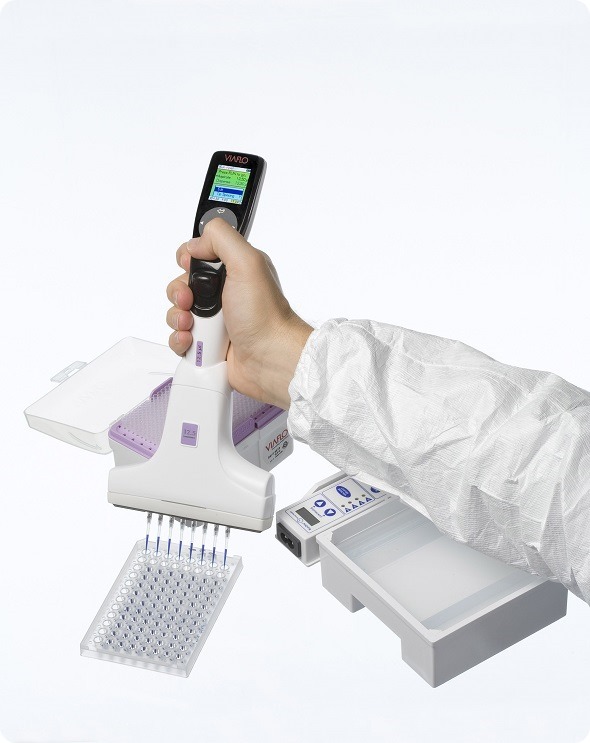 The screen shows all of the important information, without abbreviations and setting the volume is extremely fast compared to other pipettes. Overall, how has this affected your experiments? The voyager pipette has helped us to manage a lot bigger experiments than we were previously able to, so now we can screen up to 40 plates in a single experiment. And in addition our genotyping workload of around 500 reactions per week has become a lot easier to deal with. The VOYAGER pipette has quickly become one of the most indispensable tools in our lab. 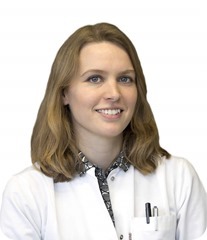 Christina Thomas is a researcher at the Technische Universität München specialising in the area of inflammation and innate immune signalling. Previously Ms Thomas has worked at the University of Lausanne, the Max Planck Institute of Immunology & Epigenetics and the BC Cancer Agency. INTEGRA provides innovative solutions for Liquid Handling and Media Preparation applications which serve the needs of their customers in research, diagnostics and quality control laboratories. Their instruments and plastic consumables are developed and manufactured in Zizers, Switzerland and Hudson, NH USA. In order to remain close to their customers, they maintain a direct sales and support organization in North America, the UK, France and Germany, as well as a network of over 100 highly trained distribution partners worldwide. In recent years they have focused on developing a new and technologically advanced range of handheld electronic pipettes which are simple to use and meet the ergonomic needs of their customers. Today they are proud to offer the widest range of electronic pipettes in the market spanning a range from single channel pipettes up to 384 channel bench-top instruments.